Richard Parish established his opticians practice in Birchgrove, North Cardiff in 1986 and with considerable continued investment, it has always been our mission to provide the very best in personal care, expertise and value. We pride ourselves on our friendly service and our optometrists will always allocate the right amount of time for your needs, so that you will never feel rushed. Parish Opticians are part of a national buying group which includes hundreds of other independent opticians throughout the country - this enables us to offer huge choice and excellent value to our clients. All our optometrists have taken advanced training to provide eye tests and free emergency service under WECS (Welsh Eye Care Scheme) / PEARS (Primary Eyecare Acute Referral System) schemes and the Welsh Low Vision Service. 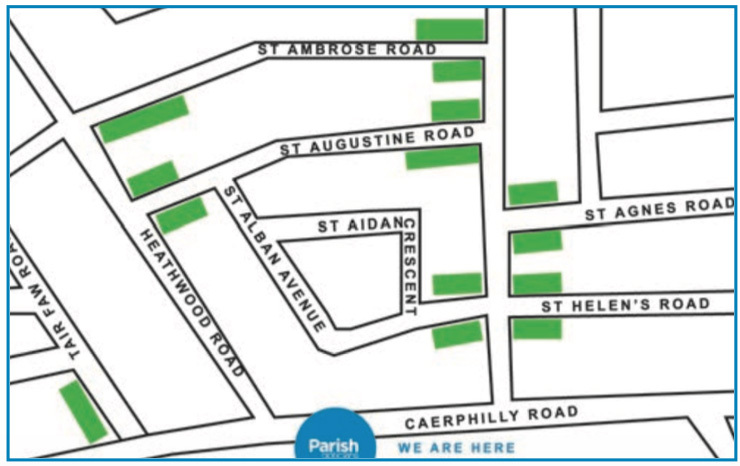 Our opticians practice is based on Caerphilly Road in Cardiff, close to the A470, A48 and near Heath Hospital (click here to see a map). In addition to being open during weekdays, we are also open on Saturday mornings (until 1pm), to make it easy for clients who are busy during the working week. We have a huge range of quality frames at our opticians, including Ray Ban, Prada, Armarni, Barbour and many more. Please see our products page for more information. We also have a number of special offers available, which presently includes a half price second pair. If you need an optician in the Cardiff area, please get in touch with Parish Opticians and book an appointment today. EASY PARKING - New 2 hour parking spaces are shown in green.